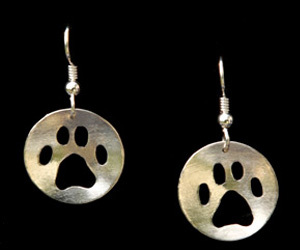 Display your love of dogs with these handcrafted Sterling Silver textured dog bone earrings. 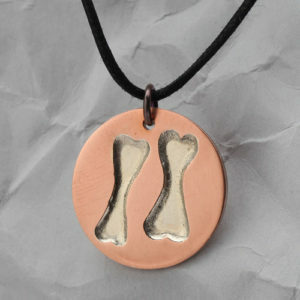 Your dog will be proud of you and you will each have your own bones! 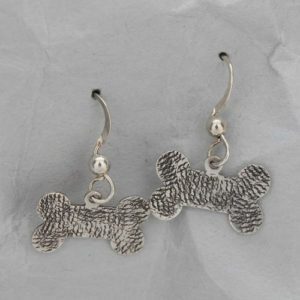 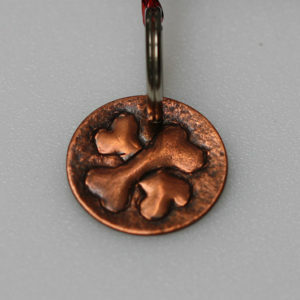 Great textured handcrafted dog bone earrings but made from Sterling Silver instead of the real dog bones! 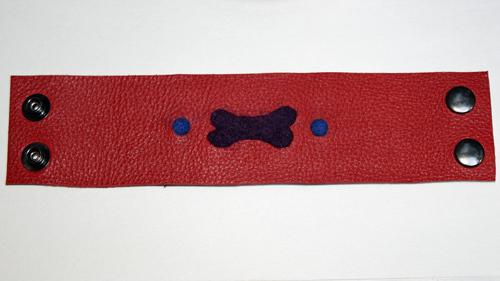 No mess here for sure! 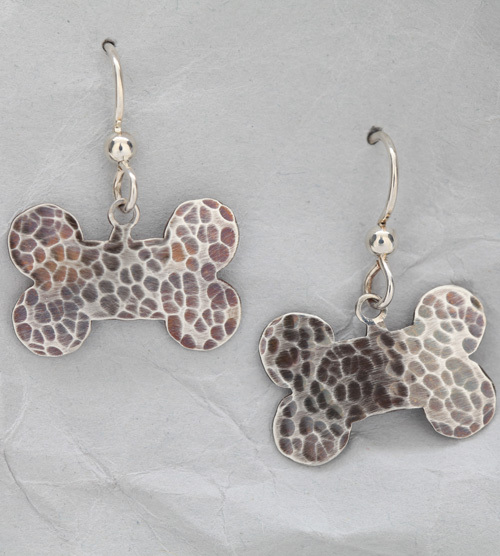 These textured dog bone earrings are approximately .75 inch wide and .5 inch tall (plus the length of the high quality Sterling Silver earring hooks). 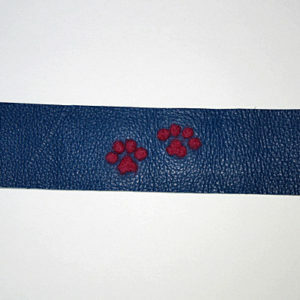 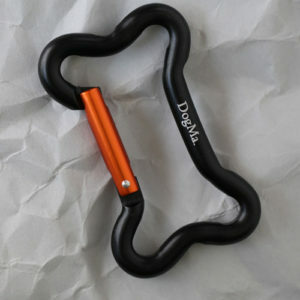 They are light to wear and can be worn to all of your dog events, to the dog park, snuggling with your dog on a rainy day or just because you are a passionate dog lover.